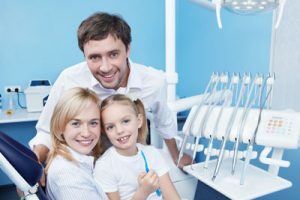 Have you visited a family dentist lately? If your breath is starting to smell, this may be an indication that it is time to come in. While most bad breath jokes tend to focus on last night’s garlic fries, bad breath can actually be a direct reflection of your health. It can symbolize a physical infection like a fever or the flu or be directly related to the health of your mouth. For example, a tooth infection will emit a strong-smelling and foul odor. Thus, we encourage our patients to pay attention to how their breath smells and call our office if it smells more than normal or gets progressively worse over several days. We will then be able to detect health issues early and provide treatment before it causes discomfort. Gum disease is a common condition that impacts most people at some point in their lifetime. In its earliest of stages, it may cause some irritation but nothing too severe. Instead, patients may have gums that are red, swollen, or bleeding slightly when brushing their teeth. We prefer to identify and treat the condition early and can do so by performing a deep cleaning. In this case, any plaque and tartar that has built up under the surface of the gums will need to be removed. Once it is, the gums should return to good health. In severe cases where the patient does not seek gum disease treatment, issues can arise like gum recession. In this instance, pockets will form in the gum tissue. Typically, bacteria and plaque will gather there, and as acid attacks the tooth, bone loss and eventual tooth loss may occur. If a tooth has an infection, it may start to emit a strong odor. Very often, there will be additional signs of an infection such as sensitivity when one bites down or a toothache. We prefer to catch the infection and treat it before it causes any discomfort. If one notices that his or her breath is smelling persistently bad, give us a call. As a family dentist, we can remove the infected area before restoring the shape and functionality of the tooth. This way, the mouth can remain in good health and the breath will also smell better. There are certain places in the mouth that are too difficult to reach with regular brushing and flossing at home. Despite one’s best efforts, he or she may not be able to remove plaque from some locations. When we perform professional teeth cleanings, we can reach all of these areas and remove the plaque and bacteria that is in the mouth. Doing so will typically make one’s breath smell much better, especially if the individual is not an avid flosser at home. In addition to visiting a family dentist, you can improve your breath at home by using a tongue scraper in addition to brushing three times a day and flossing. You can also rinse with an antiseptic mouthwash and drink plenty of water in order to improve your breath.